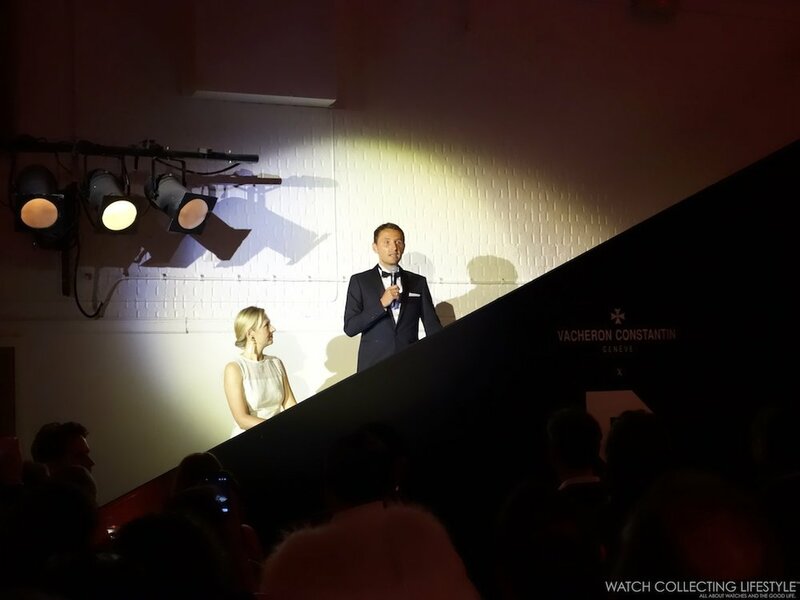 Experience: Vacheron Constantin Launch of the FiftySix Tourbillon in London. A Short but Very Memorable Trip. When you fly across the globe for the launch of a new watch, you know something really special is coming. And when Vacheron Constantin is the one taking you there, you know you’re in for a real treat. 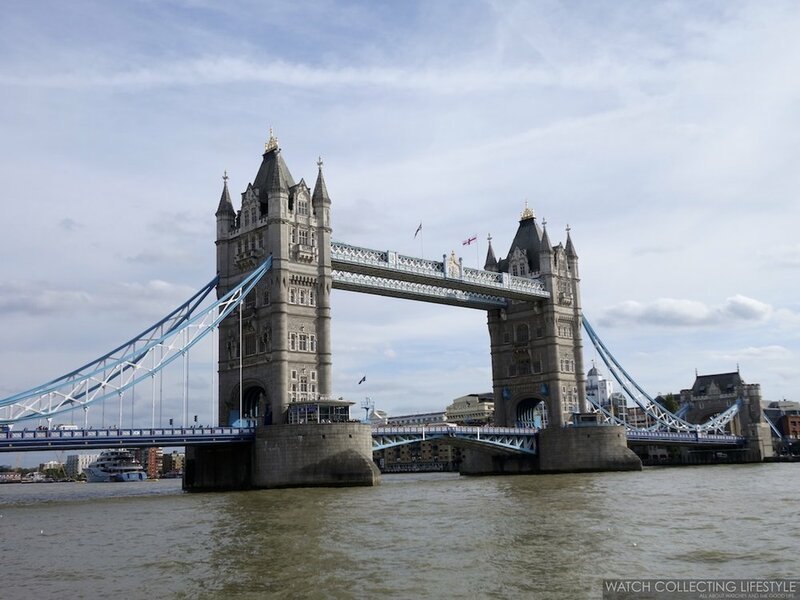 After flying from Dallas to London aboard British Airways’ First Class in our favorite aircraft —the Boeing 747—, we arrived at LHR as fresh as lettuce leaves. Upon arrival, we headed straight to the swanky Hotel Café Royal that would be our home away from home for the next two nights. Located in the Soho area not far from Piccadilly Circus, this was the perfect setting for two incredible days with Vacheron Constantin and to celebrate the launch of the new FiftySix Tourbillon we featured here. After doing some sightseeing, a little bit of shopping and doing the customary afternoon tea, we dressed up to the nines to head over to Mayfair’s most talked about club Loulou’s. This fine establishment that for members only was opened by English businessman Robin Birley and named after his deceased aunt Loulou de la Falaise, a prominent fashion designer that work on many accessories and jewellery for Yves Saint Laurent. While Loulou’s is as eclectic as it gets with many rooms and many different vibes, the stuffed giraffe in the main area is what really stands out at this posh club. While we would’ve liked to run into some of the celebrities that like to hang out at Loulou’s, a few rounds of Negronis with German dry gin Monkey 47 did the trick and that’s all that we really needed to enjoy our time there and welcome the official launch of the new Vacheron Constantin FiftySix Tourbillon. After a long evening that concluded with an epic meal at Al Hamra, London’s finest Lebanese food restaurant, day two in London was about to begin. In what we call a highly packed day in London, day two had many surprises in store for us. Our busy day began with a master class on photography with photographer Holger Pooten the head of the London Institute of Photography, who fine tuned our photo skills on flat lay photography. 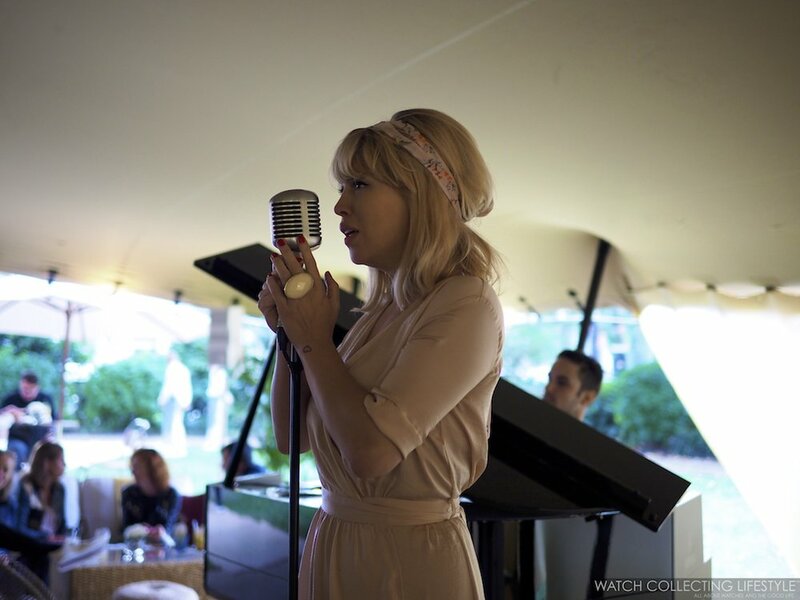 Afterwards, we then headed over to Manchester Square Park in the Marylebone area for a decadent lunch served under a comfy canopy filled with some incredible live tunes by Annie Bea. And just as if we hadn’t had enough Negronis on night number one and way too many Pimm’s cocktails during lunch, Vacheron Constantin had planned a special visit to the Sipsmith Distillery, one of London’s most popular artisanal dry gin makers at the moment —a separate feature about this special visit will follow. But the best part of the day was yet to come. 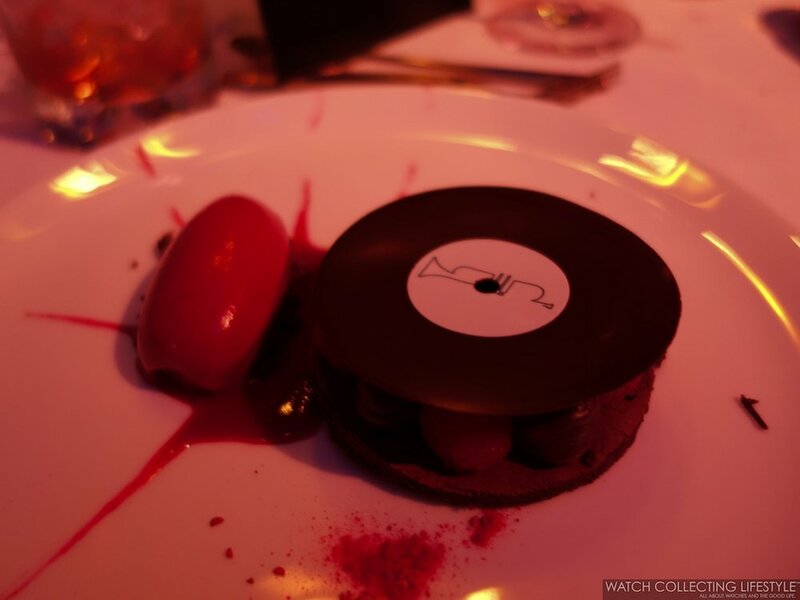 After a brief stop back at the Hotel Café Royal, we fancied all up with a bespoke royal blue velvet smoking jacket, to head over to the legendary Abbey Road Studios —with whom Vacheron Constantin has signed a special partnership—, where our gala dinner would be taking place as well as a private concert with British artist and Vacheron Constantin ambassador Benjamin Clementine. Surrounded by VIP journalists from all over the world, we finally set foot inside the most famous recording studios in the world. Without a doubt, one of those experiences that we will never forget and one that you just can’t buy a ticket for it. For those of you somewhat too young to understand the importance of Abbey Road Studios, this place is the iconic location on Westminster, London, where The Beatles recorded most of their tracks. Featuring six studios, Studio Two and Studio One are where we spent the rest of our evening. As we walked around Abbey Road Studios with a Negroni in hand, we all gathered at Studio Two for a brief cocktail, hors d’oeuvres and the welcome remarks and partnership announcement from Isabel Garvey —Managing Director at Abbey Road Studios— and Laurent Perves —CMO at Vacheron Constantin. Studio Two is the scene of landmark recordings by The Beatles, Pink Floyd, Oasis, Adele and many more. Studio Two has been at the heart of popular music since it first opened its doors back in 1932. Its unique design, modern isolation booths, warm acoustics and unparalleled history have made it one of the most recognizable and sought-after studios in the world. Recent sessions include George Ezra, The 1975, Noel Gallagher, Ian Brown and Panic! At The Disco. Then, to wrap up our night, we moved over to Studio One where dinner would be served and where Benjamin Clementine would delight us with his music. Studio One is the world’s largest purpose-built recording studio that can comfortably accommodate a large symphony orchestra or a chorus. Within its walls, some iconic film soundtracks have been recorded. These include The Lord of The Rings Trilogy, The Empire Strikes Back, Skyfall and Black Panther just to name a few. In Studio One, artists of the caliber of the Beatles, Stevie Wonder, Kanye West, Sting, Harry Styles and U2 have recorded some of their most important tracks. 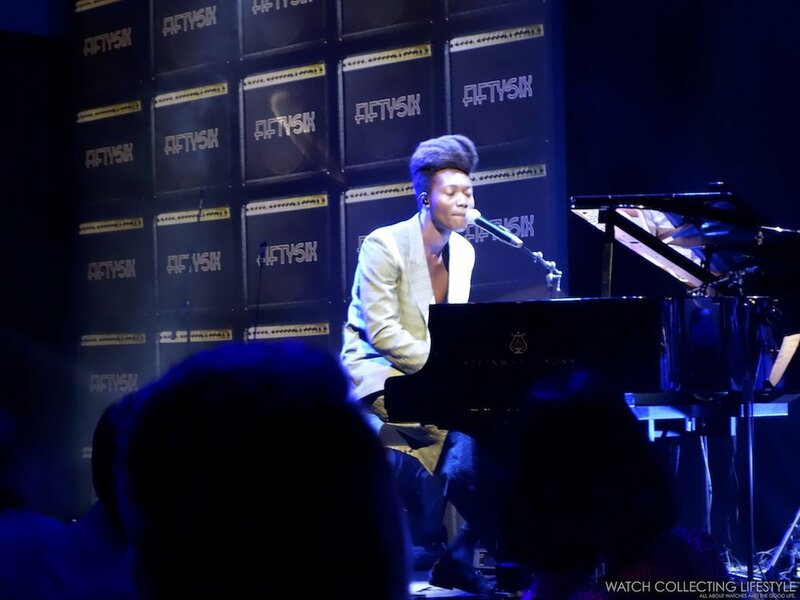 This exclusive performance by English singer-songwriter Benjamin Clementine provided a musical narrative for the launch of the partnership between Vacheron and the legendary recording studio, as well as tunefully accompanying the presentation of the new FiftySix tourbillon model. Amongst Clementine’s performance we highly recommend listening to “London” and “Adios” are two favorite songs at the moment. Benjamin Clementine also fronts the new Vacheron Constantin communication campaign: “One of not many”. In all, a short trip filled with incredible experiences and a handful of memories that add up to our ongoing watch life. One of not too many days in London, that we will always remember. 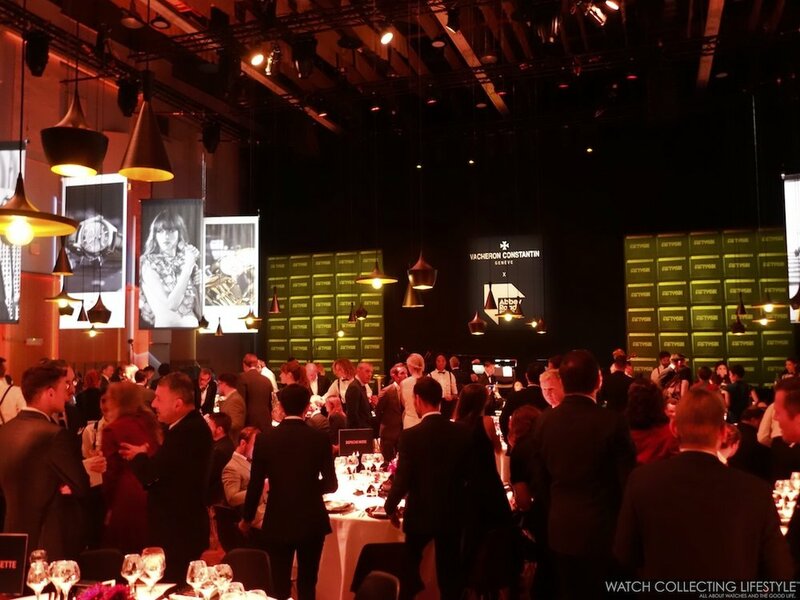 Thank you so much Vacheron Constantin for bringing us along. Posted on September 18, 2018 by Editor & Publisher and filed under Vacheron Constantin and tagged Vacheron Constantin Vacheron Constantin FiftySix Tourbillon Benjamin Clementine Abbey Road Studios Abbey Road Studios and Vacheron Constantin London London Tower Bridge Most Popular.